I don't know much about them. 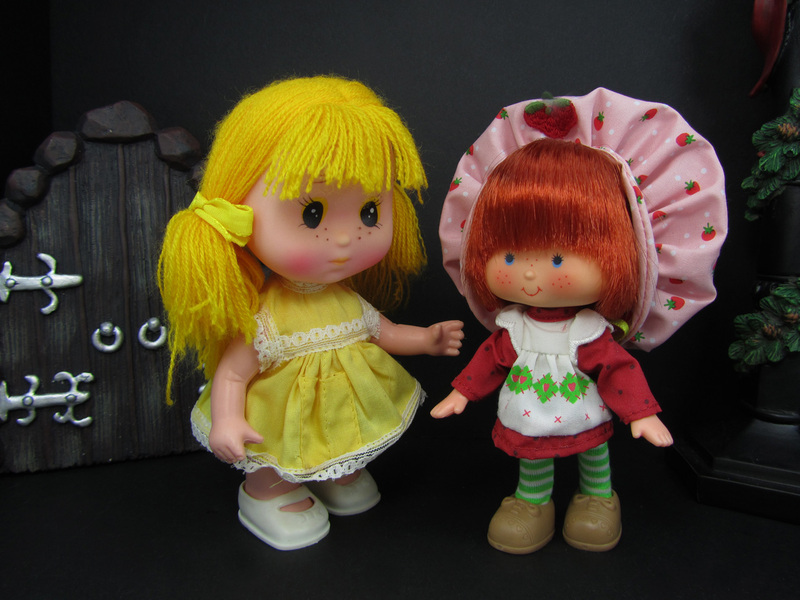 They just reminded me a lot of the vintage Strawberry Shortcake dolls so they ended up joining my collection. They're slightly dirty and there are spots on their clothing. Otherwise, I don't think they were really played with. According to their box, they come from the land of the Magic Candy Tree. 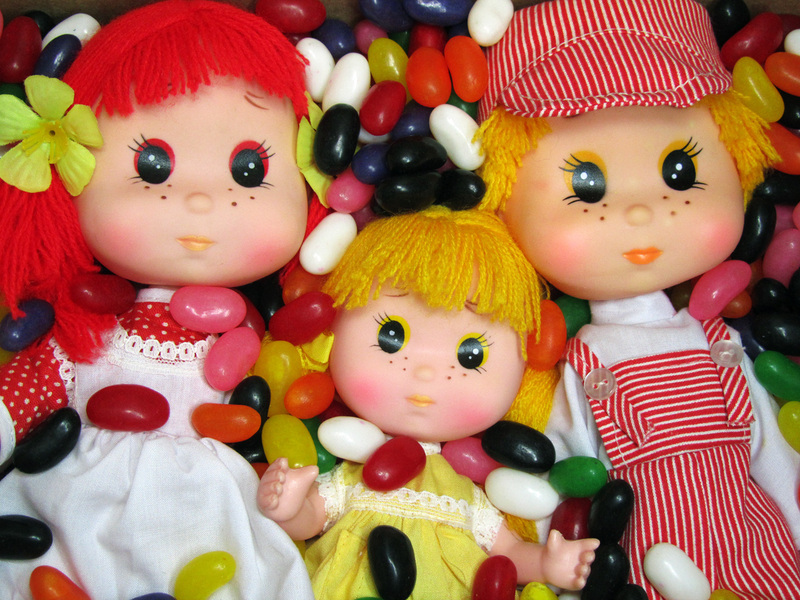 Gumdrop is the big sister to Jelly Drop and the Peppermint Kid is their best friend. Jelly Drop is a little hesitant to play with Strawberry Shortcake because she's dirty but Strawberry Shortcake assures her that she will eventually be cleaned up, with her clothes properly washed. These are cute - and they don't look all that dirty in your photos. 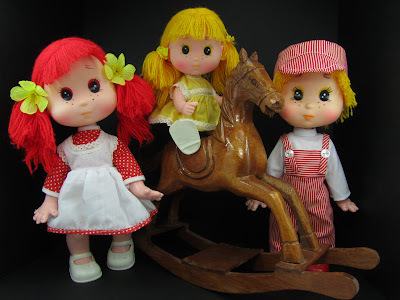 They do look like the Strawberry Shortcake dolls.